Stylish Faux Fireplaces: Best Electric Fireplaces for Your Home! Have you ever seen these beautiful faux fireplaces before? Are you looking for the best and most stylish artificial electric fireplaces for your home today? 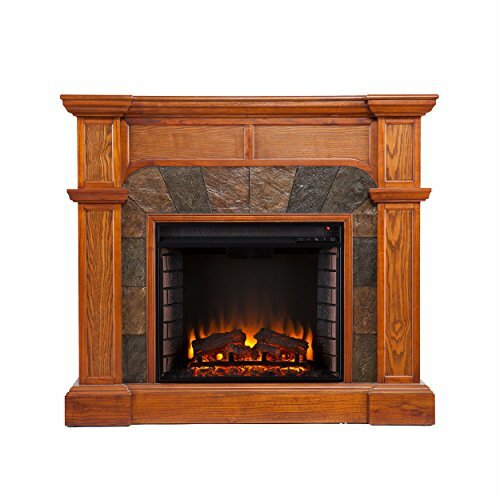 Faux fireplaces are artificial fireplaces or electric flame fireplaces that look real! They are gorgeous to have in your living-room or master bedroom and they are completely safe! There is no fire involved! They have realistic looking flames and logs and have heating too! Just like a real fireplace without the hassle! I think fake fireplaces make amazing gift ideas for newlyweds or even as a nice housewarming gift! Who doesn’t want to have to have a nice looking fireplace in their home? Most modern electric fireplaces have heat settings and they come with a remote control. This one in the picture has a gorgeous and very stylish oak finish and 2 heat settings! It looks very realistic and it makes the room nice and warm! 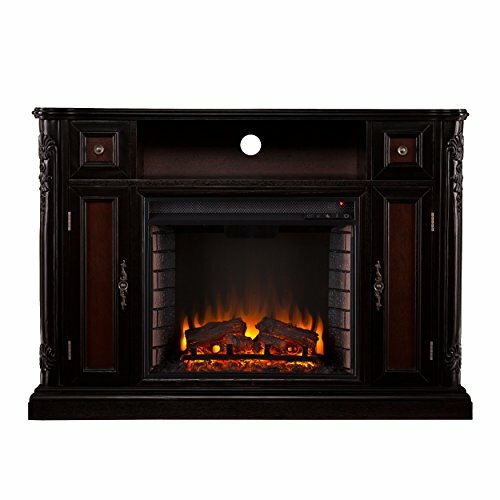 Here you will find a few of my most favorite gorgeous artificial electric fireplaces for sale! Grab that hot chocolate, choose an awesome book and enjoy your beautiful ‘fireplace’! Very Realistic Artificial Fireplace with Cool 3D Dancing Flame Effects! Most people looking for electric flame fireplaces obviously want to find the most realistic looking ones possible, of course! This Dimplex faux fireplace with 3D dancing flames is amazing! I can almost heart the fire crackling! 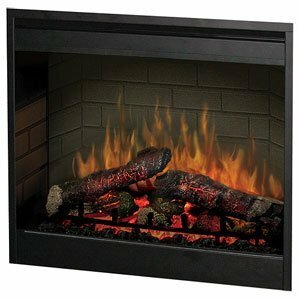 Gorgeous black electric fireplace for your home! Great addition to your living-home! Very easy to install and very attractive! No more ‘chopping wood’ guys!! 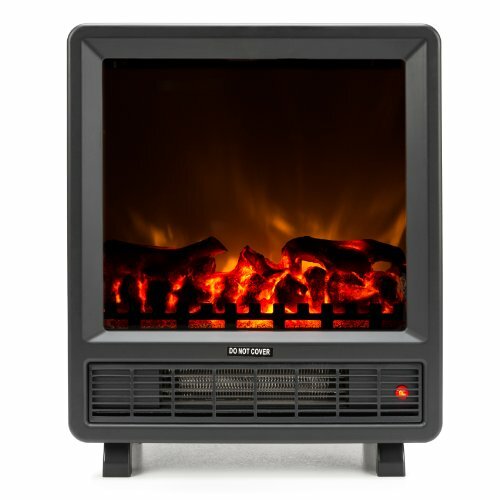 *Dimplex is among the best artificial fireplace brands out there. 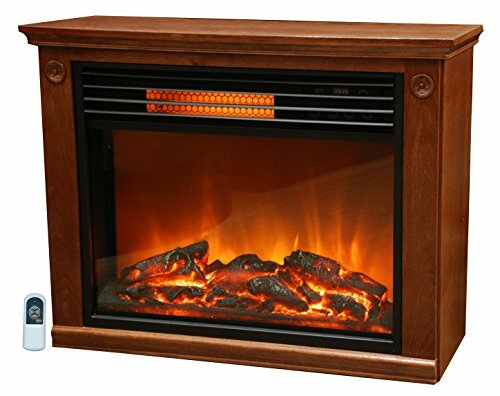 Beautiful Espresso Color Electric Fireplace with Realistic Looking Flames! Another beautiful faux fireplace for your home! This one is in a beautiful dark espresso color! It is very easy to use and looks great! There are 3 flame settings and 10 heat settings. Will warm up the whole room too, just like a real fireplace! This beautiful faux fireplace is also a ‘media center’, since you can also place your big screen TV on top. 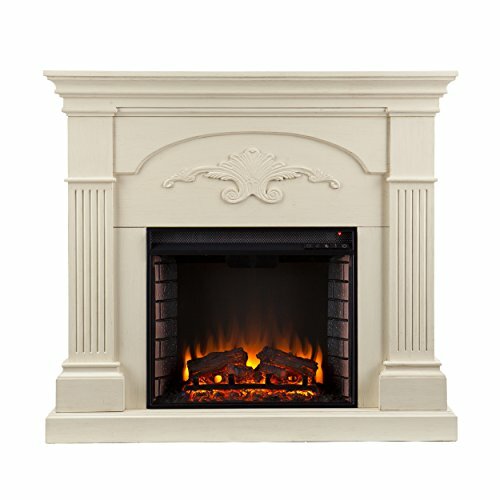 *Beautiful Ivory Color Electric Fireplace! This white electric fireplace is one of the most beautiful faux fireplaces so far in my opinion! It will make your living-room look very elegant, inviting and sophisticated. It operates with or without heat with several temperature settings and a timer. Even us Floridians can enjoy a fireplace if we want! It also fits a big screen TV on top! *Gorgeous Electric Fireplace in Dark Antique Finish! Another beautiful electric media fireplace with remote control in a gorgeous ebony finish! The flickering flames look extremely realistic! Very easy to install and use, just plug into your wall outlet! *Realistic Flickering Flame Effect Electric Fireplace with Bookcase! 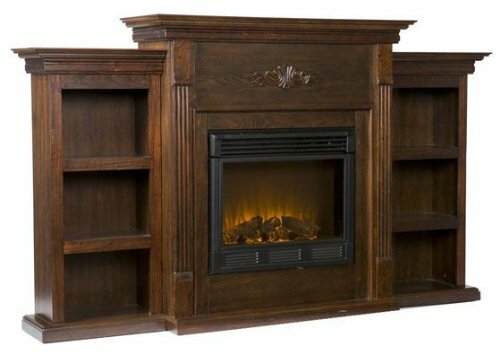 What a beautiful electric fireplace with a bookcase! I love the warm reddish finish! The flames look very real too and you can also adjust their brightness. The price is also not that bad! It looks much more expensive than it really is! *Beautiful Faux Fireplace that Look Real! If you are looking for a realistic looking artificial electric fireplace for your living-room I think you are going to be very pleased with this one! It has beautiful real-looking flickering flames and gorgeous earth tones! The heat settings and flame effects and intensity can be adjusted manually! The price is fair for this beautiful faux fireplace! If you want you can also place a TV on top as well. Gorgeous Wall Mounted Flat Panel Fireplace Heater! Have you ever seen a wall fireplace before? I LOVE the very realistic burning flames! It looks amazing at night! The heater also will warm up a room of about 400 sq. You can also get it in white, if you prefer! 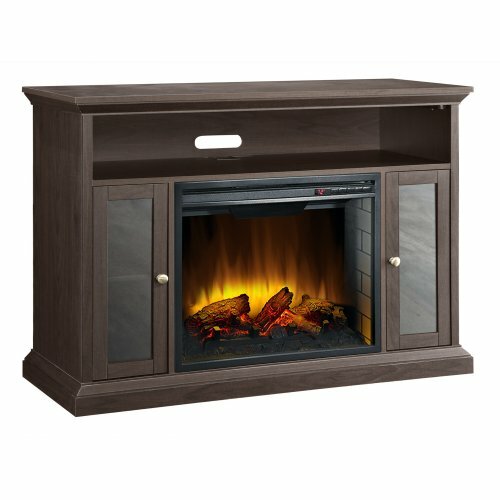 Now if you are looking for a cheap, cute and portable artificial fireplace I think this might be the one! This is one of the latest models and it has a very cute, but simple, design! As you can see from the picture, the flames have an ultra-realistic look! The heater also works pretty well and it is very, very easy to use! 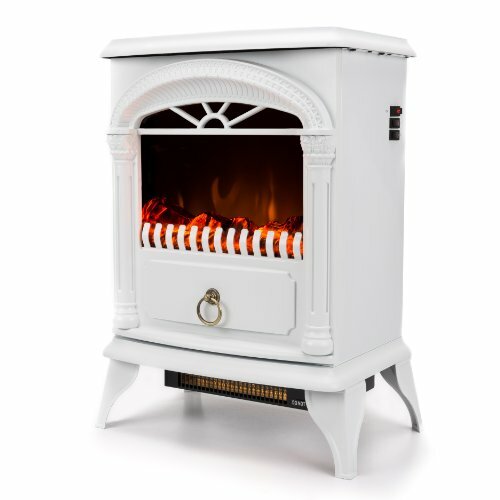 *What a Cute Portable White Electric Fireplace! This is probably one of the cutest portable electric fireplaces around! I love this beautiful ‘classic look’! The flames like very real behind the glass! The heat is also great! *How about also choosing a nice indoor waterfall to complete your relaxing atmosphere?